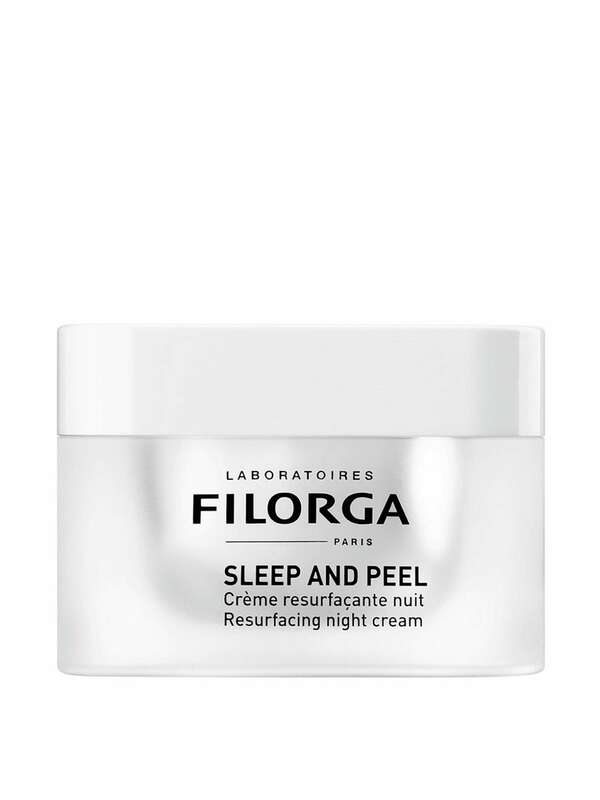 Filorga Sleep and Peel 50ml. This resurfacing night cream enhances skin brightness and and soothes the skin for optimal tolerance. Use alone at night, without applying a serum. Recommended as a one-month intensive treatment, or during the weekend for sensitive skin. A velvety night cream enriched with a cocktail of 6 hydroxy acids (AHA and BHA) for a perfectly safe peeling effect and action on wrinkles, brown spots and imperfections. Night after night, the complexion becomes brighter, wrinkles fade, pigmentation defects are reduced and skin texture is refined.